What's he cooking? Dwayne Johnson in Star Trek Voyager. 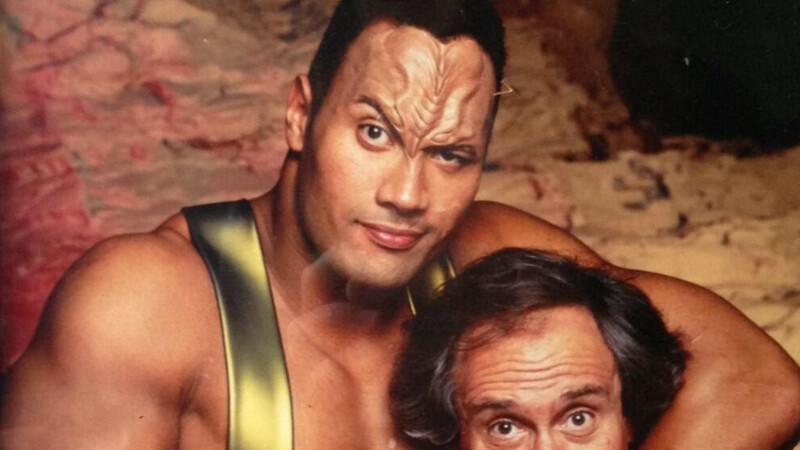 The Rock took on the role of a Pendari gladiator in the Star Trek: Voyager episode Tsunkatse back in 2000. This was before he hit the big screen in The Mummy Returns and while he was still a regular in the WWE ring. These days he’s the highest paid actor in the business and star of multiple mega franchises. But it all began on Trek.